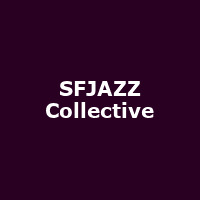 The SFJAZZ Collective are a San Francisco jazz ensemble formed in 2004. The collective has featured luminaries such as Joshua Redman, Joe Lovano, Mark Turner, Dave Douglas, Avishai Cohen, Bobby Hutcherson and more. As of 2015, members include David Sánchez - tenor saxophone, Sean Jones - trumpet, Warren Wolf - vibraphone, Miguel Zenón - alto saxophone/flute, Robin Eubanks - trombone, Edward Simon - piano, Matt Penman - bass and Obed Calvaire - drums.